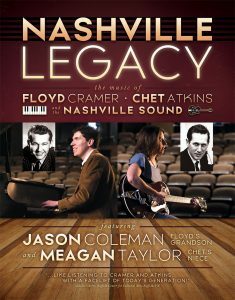 Jason Coleman and Meagan Taylor bring their “Nashville Legacy” to Gibson’s Music Store’s 50th Anniversary Celebration! FREE concert! 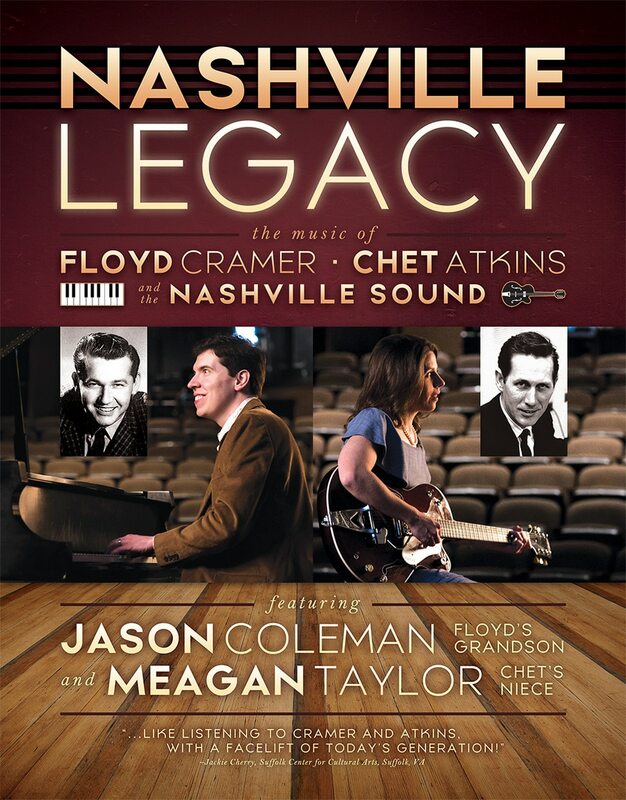 CORBIN, KY — Jason Coleman and Meagan Taylor bring new life to the “Nashville Sound” pioneered by their legendary forerunners – Jason’s grandfather Floyd Cramer and Meagan’s uncle Chet Atkins – in this nostalgic concert, “Nashville Legacy.” You’ll hear Jason and Meagan perform songs like Floyd’s “Last Date” on piano and Chet’s “Freight Train” on guitar, as well as the music of Patsy Cline, the Everly Brothers and Elvis Presley, all of whose careers were impacted by Floyd and Chet. FREE CONCERT offered to the community by Gibson’s Music Store in celebration of 50 years in business! PLEASE NOTE – Concert admission is free, but seating is limited so advance tickets are required. Reserve your free tickets by calling 606-528-1354 or collecting them in person at Gibson’s Music Store, 112 South Main Street, Corbin, KY.